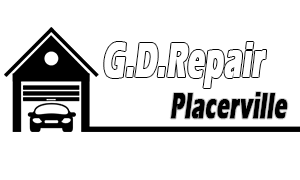 We at Garage Door Repair Placerville are at your service whenever something goes wrong with your door. With these systems, there is a whole lot that can go wrong; broken springs, bad sensors causing your door to reverse, malfunctioning opener, and so many more. The good news is that with us, you have nothing to be worried about. We offer same day services for all of the above, and promise to take care of any issue with the best replacement parts and tools. Interested in a new door or a new opener? We got you covered here as well. We work with top brands and the best results are guaranteed. As we all know, garage doors, as well as their components, can also wear down just like any other equipment we have at home. Because of this reason, it is highly recommended to hire a reliable service provider to do your repair and maintenance needs. That is where we come in. Over time, you will realize that you will be encountering problems which are beyond your control. At that point, attempting to fix the problems on your own may not sound like a good idea. After all, it might only lead to further problems when not handled carefully. Therefore, it is better to contact us for professional services. We at Garage Door Repair Placerville have proven our dedication to provide high quality services to different types of customers. As a matter of fact, we customize our services according to your needs. We listen to your concerns because we fully understand how difficult it could be to have issues with your overhead doors, as they are a very important part of your security system. Thus, we do whatever it takes to protect that functionality. You can definitely trust us with replacements of certain parts, openers' repair as well as other door components. For emergency situations, we also offer services for our clients. Skilled technicians providing quality garage door repair services. At Garage Door Repair Placerville, we offer repair and maintenance services for different models of doors for the garage. At the same time, we focus on preventative maintenance, that is, we educate you on how to avoid further issues later on. We provide tune-ups, periodic check-ups for automatic doors, as well as replacements of springs and rollers. All of these services are provided at a very reasonable price. Based on testimonials we receive from many of our clients, we are the dependable maintenance company that you are looking for. Contact us now for an assessment of your needs! Top services by expert technicians!